The camera is positioned above and in front of the screen on these versatile machines. 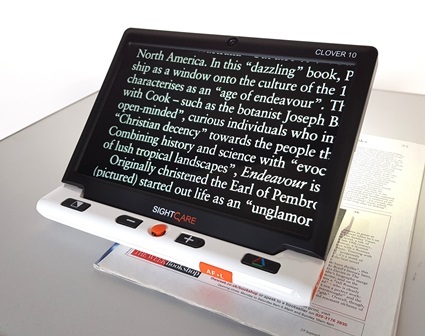 This means that the reading material is also placed in front of the screen. This pushes the screen further away from the user which may not be the best solution if you have difficulty focusing on the screen.